“How do you like running? 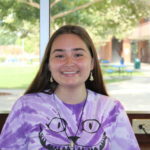 It’s so awful,” is what most people say when they hear that somebody is on the Cross Country team. 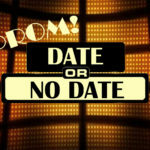 However, the CB Varsity Men’s team doesn’t think so. They have been running for four years and don’t seem to ever want to stop. 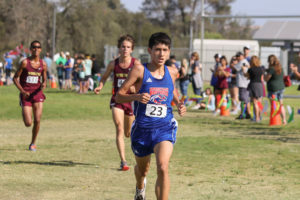 The varsity boys team consists of Nevin Afong (‘19), Sam Copley (‘19), Isaiah Jimenez (19’), Alberto Mujica (‘19), Nico Sanchez (‘19), and Enrique Verschoor (‘19). From van rides to races, they boys have come on a long journey to get to where they are. Isaiah and Sam have been on the Varsity team since freshman year. 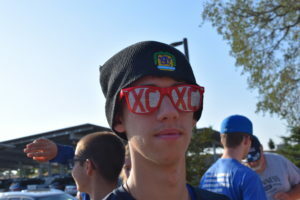 Enrique Verschoor showing off his XC pride! 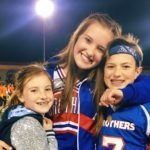 Since they were the youngest, they had to step it up with the leadership so they would be respected. 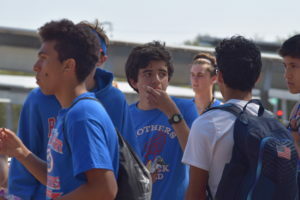 However, it didn’t take long for these boys to be taken seriously, as Men’s Varsity Cross Country Coach Mr. Danny Delgado ’79 saw the potential. Berto was moved up to varsity level his sophomore year, joining Berto, Nevin, Isaiah, and Sam. “I started going to all the practices sophomore year and began to take on that leadership role,” Berto recalled . Nico Sanchez running his way into CB’s heart. If they won the section title their junior year, the program would have been moved up to the D-III level from Division IV. They also had high hopes to dominate at state. However, that didn’t happen, as they lost to their arch nemesis Placer High School at sections and state. “We wanted to win so much. Our desires to be the best got in the middle of actually winning,” Berto said. “That day [at State], we didn’t even talk to each other, we were so nervous,” Isaiah said. Now it’s senior year, the time to push themselves to the limit because, as the Varsity boys say, “you haven’t given it your all if you haven’t thrown up,”. 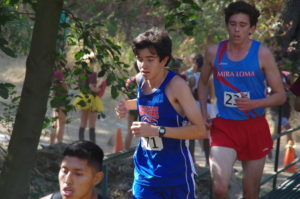 Their practices are more rigid and extensive than the rest of the CB cross country program. According to Nevin and Nico this is their best year yet. 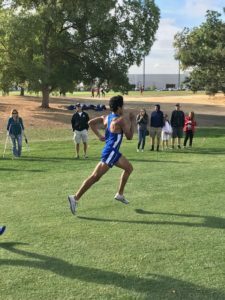 Nevin Afong sprinting to first place. Practice is Monday through Friday, from 3:30 to 5:30 PM, which includes two hours of stretching, leg drills, and of course, running. Varsity usually goes off to run by themselves at Land Park. Going to Land Park means long runs, but towards the end of the season they do more speed work. They already have the foundation of running long distances, now they just are working on improving their time and finishing strong. Even on weekends the boys run. However, they don’t have to do it alone. Wow! Look at Isaiah Jimenez’s form! The races is what all the work is for. The team usually has a race every Saturday morning. Some of the boys have a pre-race ritual. For instance, Nico will have an untoasted plain bagel and wake up a little bit earlier so he can digest. Berto will lay in bed the night before and picture strategies in going over the course. When they all arrive at the race, Berto will shake all of their hands and tell them good luck. Isaiah will slap his legs and do some jumps to make sure he is agile. All the boys gather in a circle and of course say a prayer. The race for varsity is 3.1 miles (or a 5K). A common place they will go for a race is Willow Hills in Folsom. This course involves long straights and longer hills that can slow people down if they don’t know how to deal with it. I look forward to van rides. It’s being stuck with the most annoying coach in the world and even more annoying guys,” Berto said with a sarcastic laugh. All the guys developed this little smirk as soon as I mentioned the van. They are “allowed to speak freely and basically roast each other,” Isaiah explained. The boys with a pregame get together. All the boys have high expectations for sections and State. 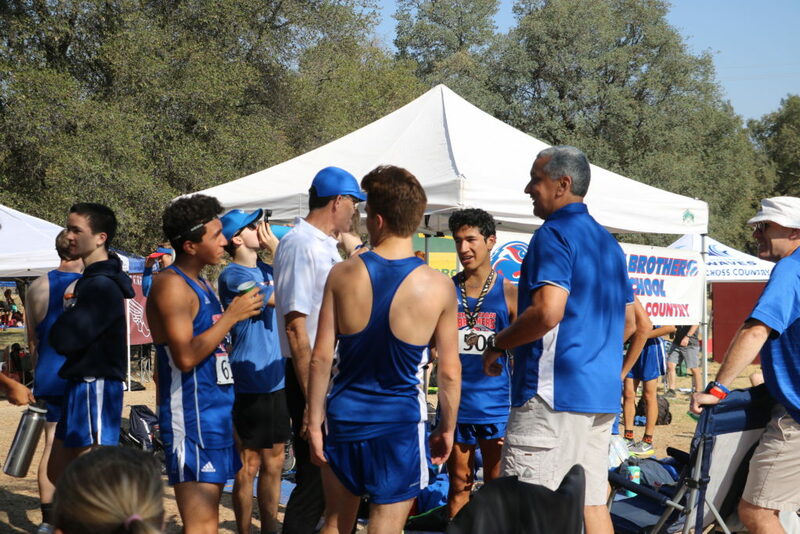 Their four years are coming to an end on November 24th at the state meet in Clovis, California. It has been a long ride and they boys have evolved from teammates to brothers. “It’s been awesome these four years…putting in all this work, seeing them get older has just been amazing and awesome,” concluded Nevin.